The homeplug Powerline Ethernet adaptor can be used with any Ethernet enabled devices, for example PCs & Laptops, Network Printers, Broadband Routers, ADSL or IP Cameras etc. 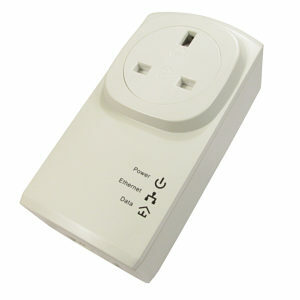 Simply plug the unit into any power socket and connect the Ethernet port of the computer with the supplied Ethernet Cable, repeat with another computer or Ethernet enabled device. The mains pass through allows you to free up a power socket that would have been taken up by a standard Powerline adaptor. 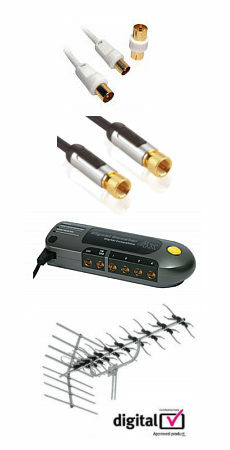 High-Speed Powerline adapter with Ethernet interface. 30m LC - LC OM1 fibre optic cable, dual molded LC to LC connectors, grey jacket and 62.5/125 core.